Pellet and Grill Division! - Big Name, Small Company! Coming soon -- shopping cart for convenient online purchases! Makers of custom hardwood flooring and millwork, Great Lakes Lumber Company got started in the Early 90’s by buying standing timber and having it harvested and processed into saleable lumber. After a year we purchased a Molder that would give us the capabilities to produce our own finished product. In 1996 we purchased a 40-acre parcel located in Isanti, MN and by 1999 we had broken ground and had Morton Buildings erect a 5000 square-foot manufacturing center for us. By 2003 we outgrew our building and needed a building for storage only and had Morton construct another 4000-square-foot, cold-storage building for us. We were geared up for the height of the building boom! At that time we processed a large amount of lumber into different components for cabinet shops. In between those jobs we were taking orders for paneling, hardwood flooring, and custom trim. In 2007 things started to slow down. We looked into taking our dried sawdust and turning into wood pellets for heating. I purchased a small pellet mill and quickly learned there was more to pellet making than feeding sawdust through a machine like a garbage disposal. I then started to sell our kiln-dried sawdust to a pellet manufacturer. Since they were bringing an empty semi-trailer back, I figured I would try to sell some pellets for them. By 2008, I joined forces with GLRE as a back-up source for heating pellets. Now, because of their quality and large volume production capabilities, they are my sole supplier. We supply a wide range of clients with GLRE product, from the person who uses a few bags a year to customers who burn a semi-load a week. 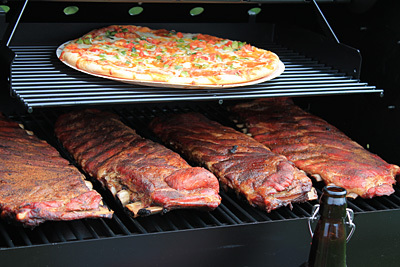 In 2010 GLRE came out with a line of BBQ pellets— I quickly learned there was a big market for BBQ pellets and grills. 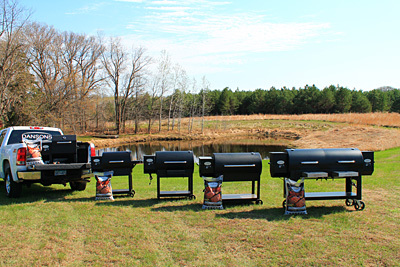 As of 2011 we are also proud dealers for Dansons, best known for their Louisiana Grills Country Smoker Pellet Grill Line, and the Royall Pellet Grill line. 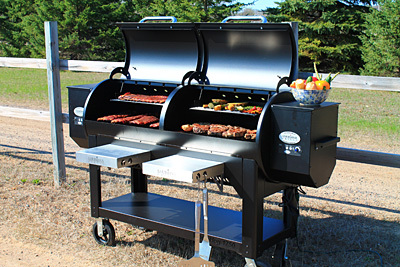 Recently we have added Green Mountain Grills to our lineup. 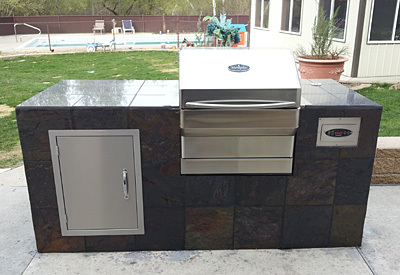 Please browse the site and don't hesitate to call about your pellet or pellet grill needs! A few example pictures are below. Hover over the thumbnails below to enlarge. From built-in to portable, we can help! You can even cook pizzas! 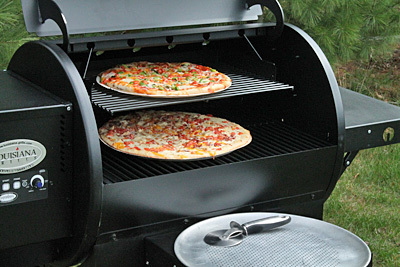 Cook the entire meal in your pellet grill!